Some flowers are 'generalists' that appeal to a wide range of insects. Other flowers are 'specialists' that attract a small range of insects. 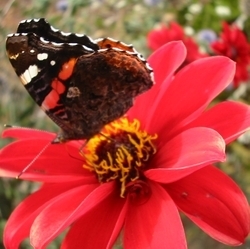 Flower shapes and colours give gardeners clues as to what kinds of insect they have evolved to attract. It is certainly not a case of 'one size fits all'. 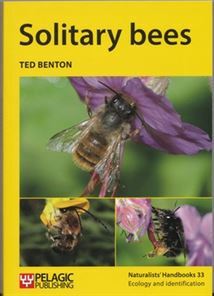 By planting a wide range of flowers you will encourage many different kinds of pollinating insects to visit your garden. More information on the Flower Shapes page. 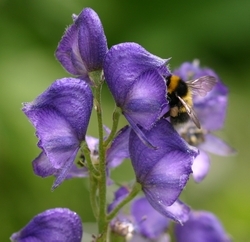 It is regularly assumed that gardens for pollinators have to concentrate on 'native' flowers. In fact in the context of Britain and Ireland this is not the case, and flowers from across Europe fit the bill very well. I explain the problems with use of the term 'native' on the Re-defining 'native' Plants page. There is a current trend to plant 'wild flower meadows'. This term is used vaguely and loosely to cover several completely different ways of growing flowers in different settings. I explain the difference on the Garden Meadows page. A good rule of thumb when choosing flowers that will attract pollinators is to choose varieties of flowers that look closer to their wild ancestors, rather than highly-hybridised horticultural novelties. I explain how I planted my garden on the Planting for Pollinators page.